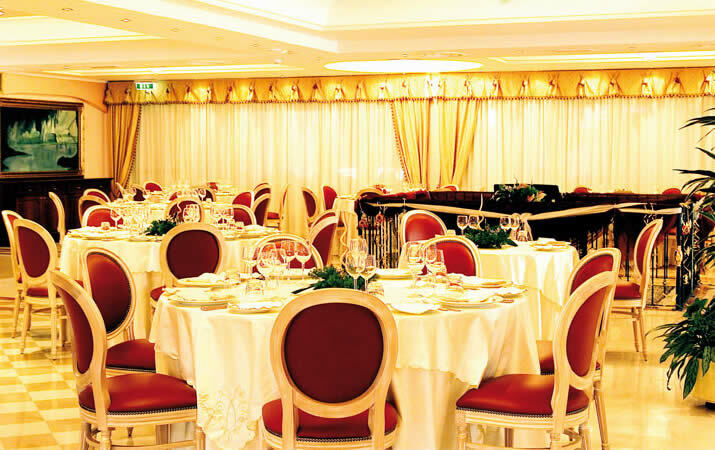 For you and your guests, choose Grand Hotel Osman and its smart and luxurious banquets halls. Our staff guarantees a superb service attending with care during the event, and dedicated to you to let you spend unique moments for the most important day of your life. Our three luxurious halls can host all kind of ceremony: the halls permit to create personal spaces up to 10 rooms and 1500 sitting places. Inside the "Imperial Hall", through the glasses, you can have a look at the work of our Executive Chef. 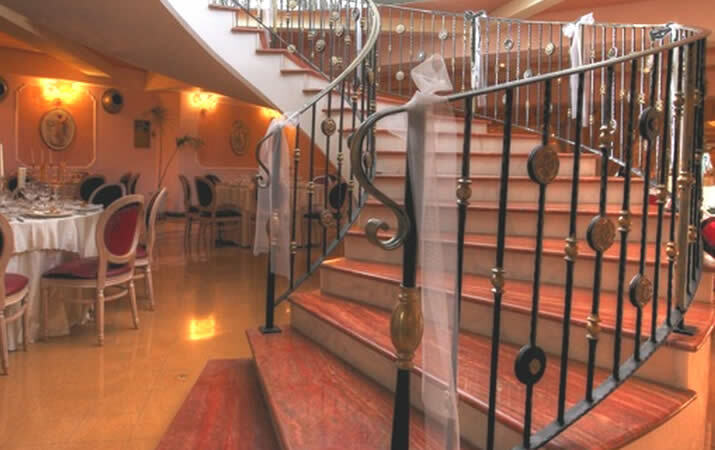 Aperitifs, welcome drinks, our unique "heart swimming pool" and particular scroll stair in the "Ambassador" Hall, the warm and classic of the "Danubio" Hall. Organize your ceremony in style and elegance!